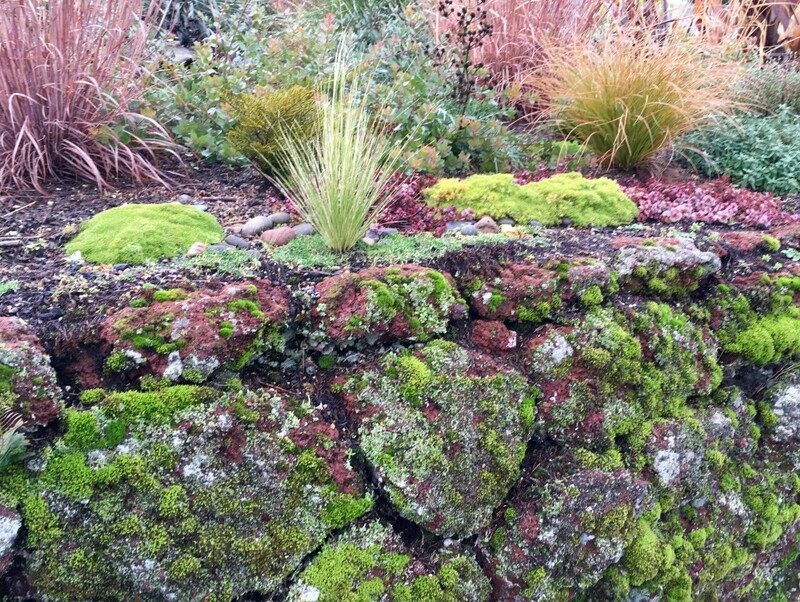 I wanted to post about this season’s gardening plans, but trying to sort it out became so overwhelming, I decided to show you pictures of my lava rock wall instead. It’s a much smaller space to consider, with incredible beauty manufactured all on its own. 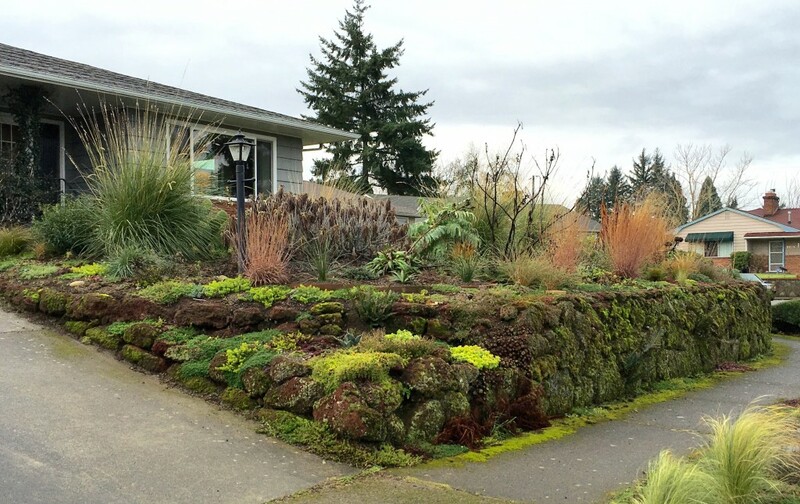 The big picture, with sedum corner in the foreground. 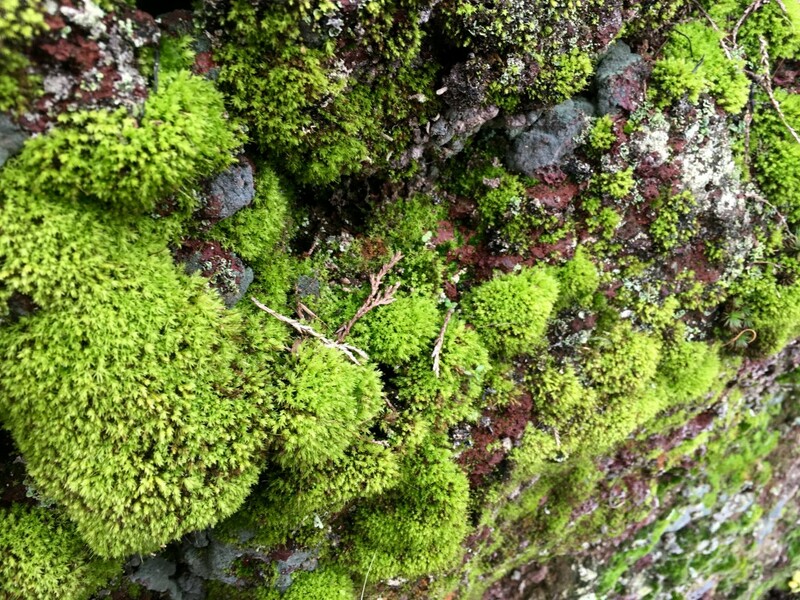 The wall is north facing, ideal for a mossy wonderland, and it is looking swell. (This is a different picture from last week, I swear.) It’s hard to imagine that I didn’t like it when we first moved in. Sometimes it pays to wait and watch. Nature is pretty good at what it does. 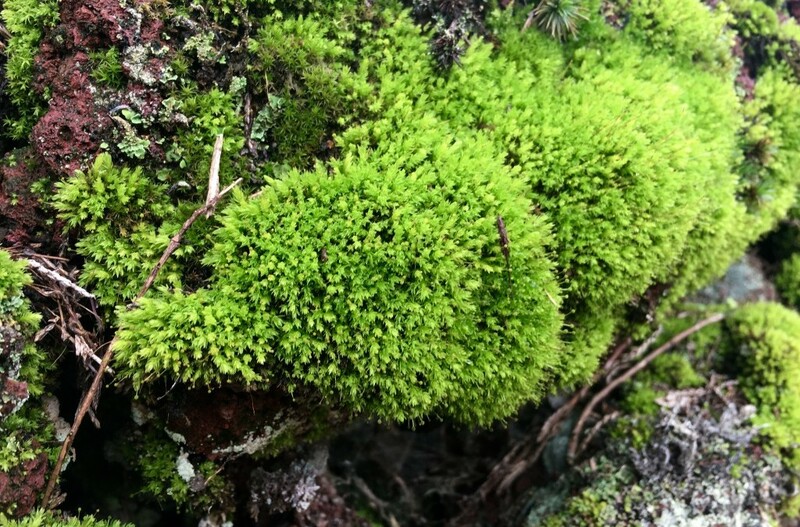 The little fern that could. Isn’t it sweet? 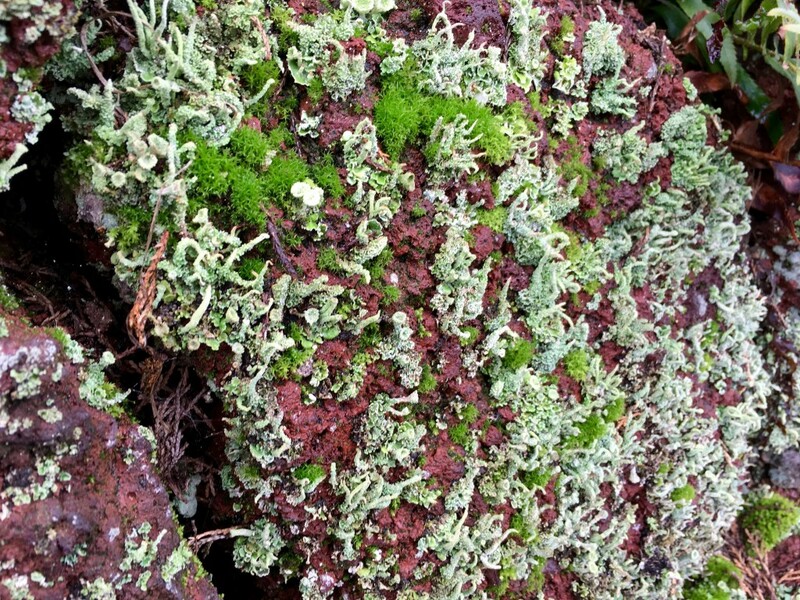 I was surprised to see the little tendrils of lichen. Is that right, or am I looking at a different plant entirely? I didn’t know it grew like that until I got up close with the camera. We pulled out our Juniper, but the wall wraps around the curve and continues across our neighbors’ yard–where Juniper remains. I have to admit, the neighbors’ Juniper makes for a nice combination. 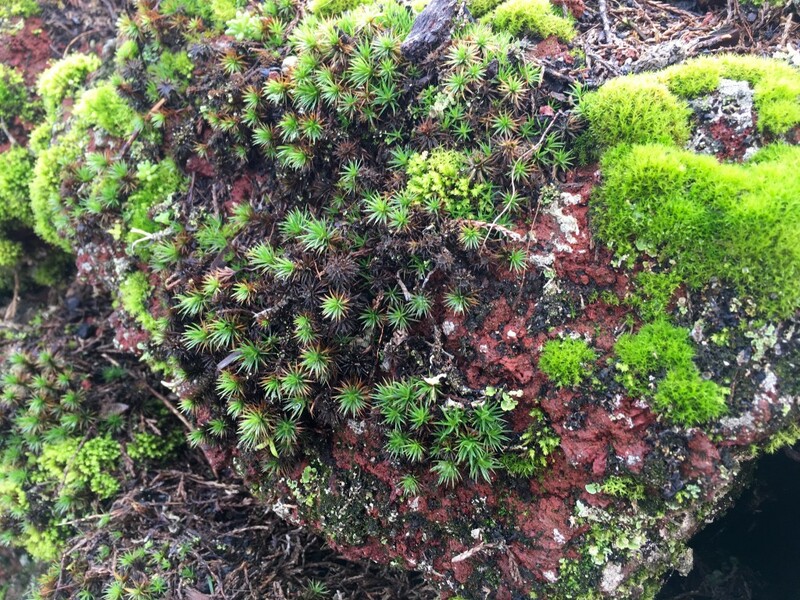 Every rock is its own universe. I could gape at the wall all day long. Every square inch is fabulous. Lots of little ferns nestle happily in the wall. 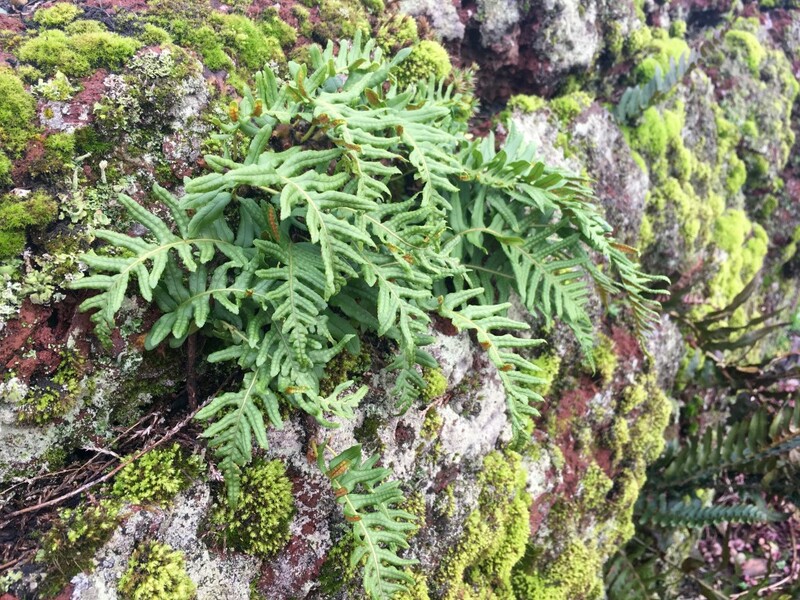 I need to work on identifying ferns. 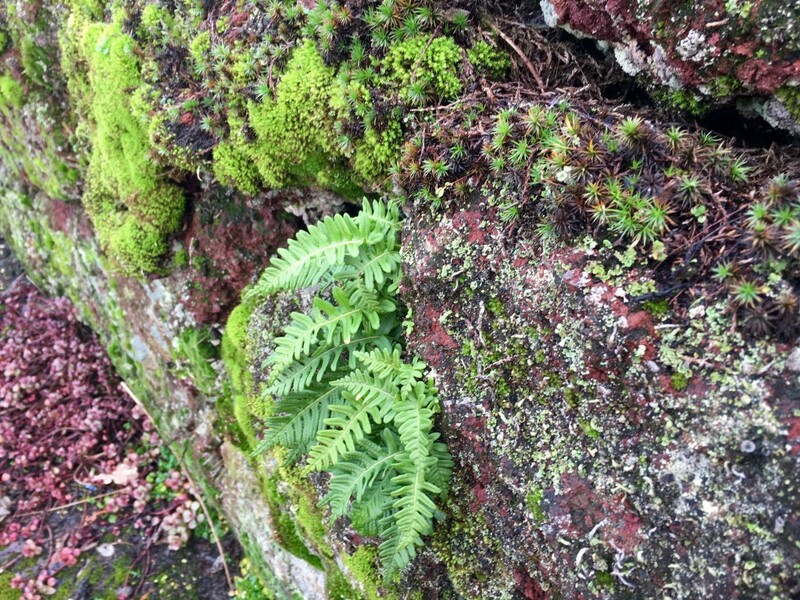 Little ferns have insinuated themselves in the wall. I pronounce them adorable. A view with my plant contributions atop–mingling pretty okay, no? 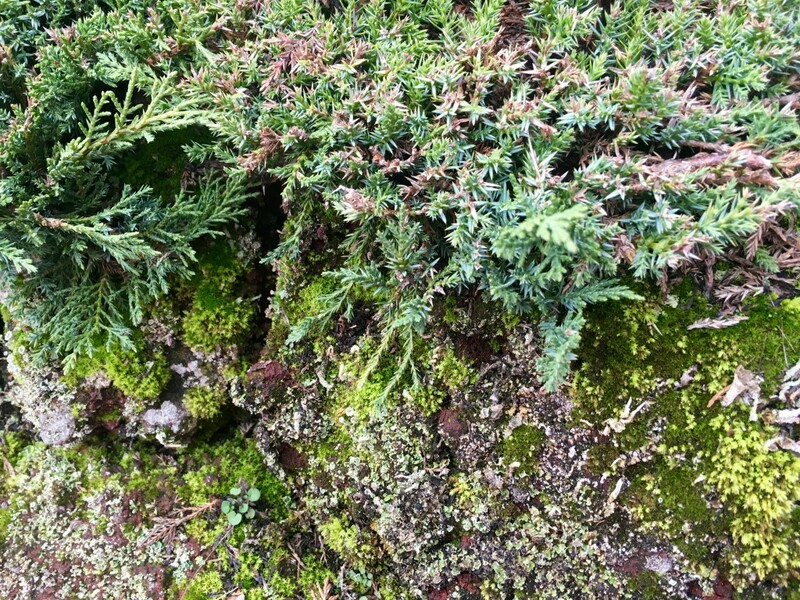 Contributions by the gardener’s hand atop the wall. Do you have any spaces like this, areas that pulled together all on their own–to your giddy surprise and delight? I’d sure love to hear about them. Pictures too would be lovely too. P.S. Are there treats for chickens? These guys came running over when I stopped to say hello. Then I felt a little sheepish, having nothing offer but my heartfelt hellos. 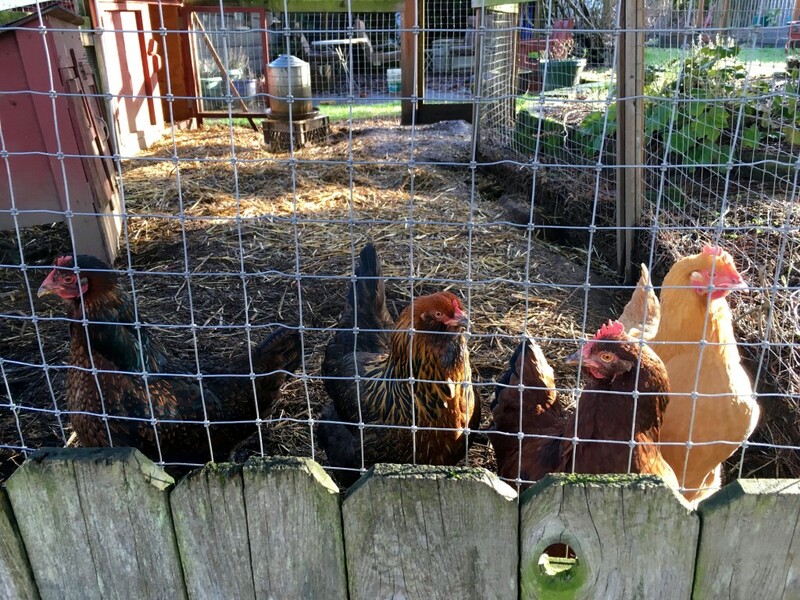 Concordia neighborhood chickens say hello.